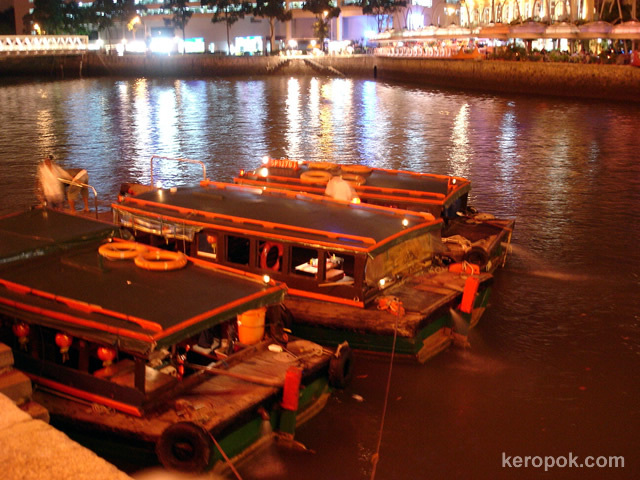 These boats are the river taxis that bring you to various stops along the Singapore River. If you are not in a hurry, take a boat ride and slowly absorb the lights of Singapore. After the boat ride, enjoy a drink or some food along Clarke Quay or nearby Boat Quay. Cool!! Sounds like a great way to see Singapore. Those boats are very bright. It looks like the way to see the city. Ah yes I remember these -- a bit dodgy getting on and off but a wonderful ride. I went alone during the daytime and then later with my wife in the evening.